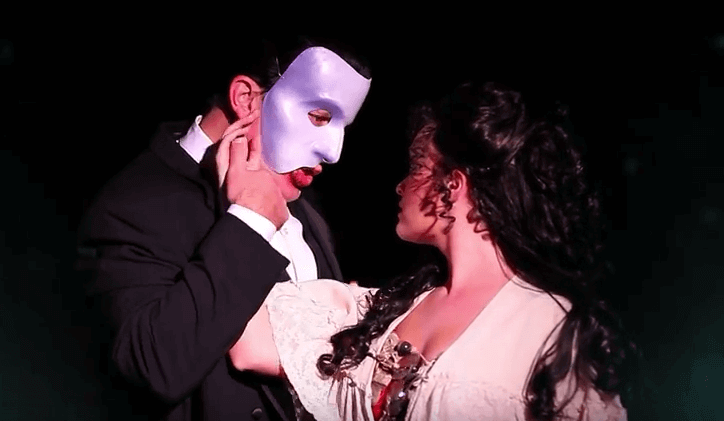 Lubbock Moonlight Musicals is without a doubt one of our favorite ways to experience the arts in Lubbock, and this season, we’re more excited than ever with “The Phantom of the Opera” just around the corner. With Broadway star and Lubbock native David Gaschen reprising his role as The Phantom and the always-talented Moonlight crew hard at work, we can’t wait for the opening curtain. In the meantime, we caught up with Bevin Henson at Lubbock Moonlight Musicals for an inside look at how preparations are going. What makes “The Phantom of the Opera” a must-see and so different from other shows? What can attendees expect during the show? This show will be like nothing ever before performed on a Lubbock stage. Led through a collaboration of the most amazing directors in Lubbock; we have Gerald Dolter of TTU Opera Theatre as stage director, David Cho of the Lubbock Symphony Orchestra as music conductor, and Yvonne Racz Key of Ballet Lubbock as choreographer. Thanks to hundreds of hours of rehearsal, research and work by the cast, leadership and scenic crew; this production will be Broadway-quality without the travel time. The show plays on every emotion, from the flutterings of a first love to the passion of a forbidden one, with soaring arias upon a rooftop to heartrending ballads within a catacomb. With many special effects and heart-stopping moments, this is definitely a once in a lifetime experience that should not be missed. Any fun facts about “The Phantom of the Opera” you’d like to share? While entitled “The Phantom of the Opera,” “Phantom” is actually a musical theatre work that has two operas staged within it. What’s it been like working with David Gaschen? David is a wonderful person, and we are so happy to be working with him again (he played Val Jean in our 2013 production of Les Misèrables). While having been so successful on the stage, he’s really just a regular guy that is happy to perform in his hometown. He teaches about 60 vocal students in the Frisco area where he currently lives, and that love for teaching has definitely shown through in the compassion and willingness to help that he shows to students hoping to follow is his footsteps. What’s the atmosphere like on set right now? We have been rehearsing for nearly three months, so the cast are getting comfortable in their respective roles. With costumes coming in and the sets going up, there is definitely a sense of everything coming together and an energy and anticipation that you can feel when you walk into the rehearsal hall. Everyone is so excited to show off their hard work to an audience, while keeping their fingers crossed that they are able to get their part done in time for the curtain to rise. The Phantom of the Opera will run November 18-22, 25-27. For more information, go to Visit Lubbock’s calendar of events.